The 7 Minute Life creator of The 7 Minute Life Daily Planner will help you to organize your life in just 7 minutes a day. 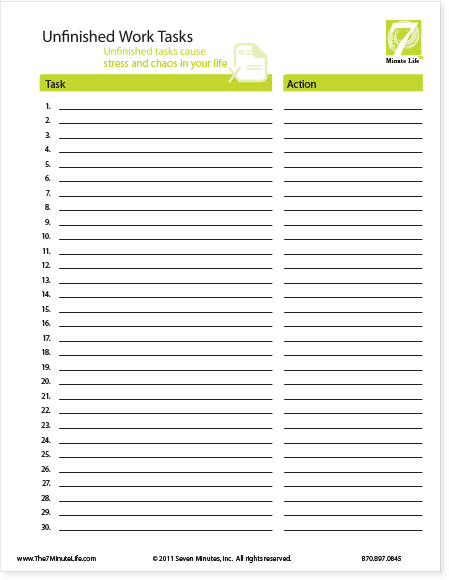 This 270 page, spiral planner sells for $24.95 and is a great tool for business women, busy moms, homeschoolers and more. Check out this video for an overview of the concept of this planner. My first thought when I saw this was that it would be best geared for 'professional' moms. For those who go to work each day and have a 'career' other than homeschooling. But the more I thought about it, and watched the video, I realized that the main idea behind the 7 minute planner really can be utilized by anyone. The planner starts you out with some ways to get your prioritized and your goals set. Rather than just jump into 'another planner', the 7 Minute Life Daily Planner strives to teach you new ways of organization. I started with prioritizing what is most important to me. Then taking those priorities and discovering my purpose. That is going to look different for each person, just like the goals will and then the daily planning. By looking at these priorities, I was able to take the top ones and set my purpose and goals. Fortunately most of them lined up with my job as Mom and Home School Teacher! With the priorities I was able to start figuring out some personal goals in the next 90 days. I jotted just a couple down to get started. I didn't want to overwhelm myself with goals from the start, something I tend to do very easily. There are additionally places for financial goals and life goals. I really appreciated the several pages of Unfinished Work Tasks to add those things that you can't fit in the 5 items to accomplish before 11 am. The idea is to take 7 minutes the night before and plan out your planning page. Choose the 5 things you will do before 11am, decide on what 'life connections' you will work on, list your unfinished tasks you hope to tackle for the day. There is also a space for appointments, thank you notes, voice mail information, and more. As a stay home mom I didn't find it necessary to use the voice mail or the appointments much, but there were days I did. It was hard for me to figure out what to get done before 11. My 'job' as a homeschool teacher certainly wouldn't be done before then. I couldn't break up the kids school to accomplish before the 11 hour. I chose those little things that creep into my mind just as I am going to sleep. Those annoying things that I need to jot down, to not forget. Ordering a copy of a book, making a print out of something, returning a quick phone call, taking meat out for dinner. Those small things that add up and make life seem too cluttered. This has been so helpful to me to be able to jot them down for the next day, and forget about them!! The planner is geared for 90 days of use, rather than a year. You will need to plan ahead and purchase your next book before your 90 days runs out. I would love to see at least 6 months in the planner, but it would just be huge. It is already 270 pages with a 90 day planner. Just a bit too large if you add more pages to it. I choose to only use the planner on week days rather than the week end. I feel that I can 'wing it' better on the weekend and don't have to plan things out as much. As long as I am getting some of the unfinished tasks done during the week, I can have a pretty relaxing weekend. I think I have said it once, but again for emphasis.. this is not just another planner. 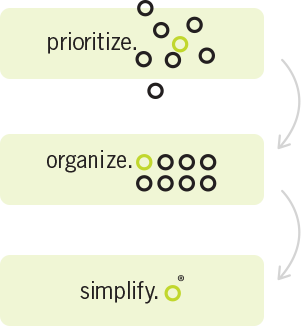 It is a new system of planning and getting organized based on your priorities and goals. It is a way of minimizing your stress and 'to do' lists by planning ahead in a short amount of time by realizing your potential. Simplify is key here. I did note that some of my time is spent doing things that aren't working toward the goal. That really made me think about how I organize my day and if some of those 'unnecessary' things aren't sabotaging my day. 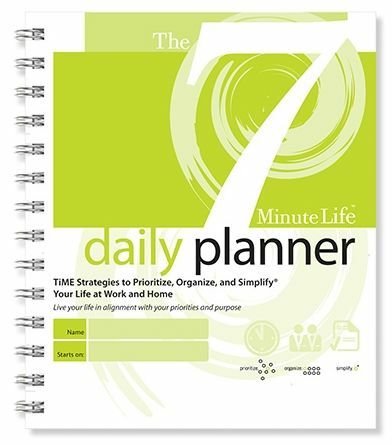 Click the banner below to see what other Crew Members thought of The 7 Minute Life Daily Planner. We at T7ML would like to take the time to thank you for your time and honest feedback on our planner. You are absolutely right. It is NOT just another planner. It is a way to fulfill your life's purpose and reach your goals.